There will be NO SCHOOL on Thursday, November 3rd and Friday, November 4th. The KES PTO would like to thank everyone who sold and purchased tickets for this amazing fundraiser! We duct taped our principals on October 18th during lunches – special thanks to Mrs. Bame and Mrs. Wise for participating! Every child that sold a ticket got to participate. 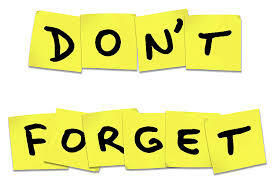 Please call in all transportation changes to the school office by 12:00 PM. By providing this information, it will help eliminate confusion for staff and students at the end of the day! Thank your for your help! Join us again for our PAX Home Series! In case you missed out on the FREE parenting tools last year, we are back and ready to get your family on track for a successful school year! The PAX Home sessions are the same as last year, so if you came before and found the tips useful, PLEASE encourage other parents to come and see what it’s all about! And as always, each session will take just 30 minutes of your time! Sessions begin at 9 AM in the cafeteria. Enter to win a gift card at each session! Must be present to win! 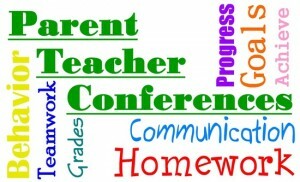 Parent/Teacher Conferences will be held on Wednesday, November 2nd from 4:00 PM – 8:00 PM and Thursday, November 3rd from 8:00 AM – 8:00 PM. This is an opportunity for parents, students, and teachers to share successes, accomplishments, and/or concerns. We believe students can accomplish high academic goals when parents play an active role in the education of their children. 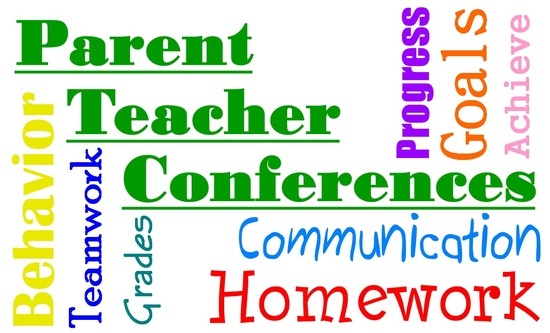 If you have not scheduled a conference yet, but would to attend, please contact the school office 419-673-7248. Write down any questions or concerns you may already have. During the conference, take notes. Please try to be on time to your conference so you have plenty of time for discussion. Please call the school office if you are unable to make your scheduled time. If at all possible, leave younger siblings at home so you may focus solely on your school age child’s successes and/or concerns. It is their day to shine! 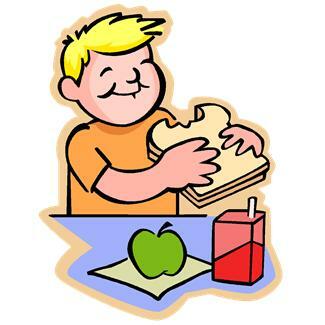 This school year, Kenton High School students are mentoring with Kenton Elementary School students during their lunch and recess times. We will be OPEN during conferences – Wednesday, November 2nd from 4:00 PM – 8:00 PM and Thursday, November 3rd from 8:00 AM – 8:00 PM. Browse and select offers within the App; then purchase those participating products at any store. Upload your receipt using the App. Box Tops will confirm your purchase via e-mail and credit your school’s account for any offers you selected and qualified for. You can view the credits you’ve earned for your school for your school on the “My Activity” tab in the App or by visiting “My School Earnings” at www.boxtops4education.com/earnings. 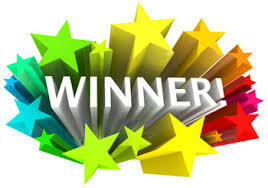 Note: You must be – or become – a member of Box Tops for Education to use the Box Tops Bonus App, so that we know which participating school to award the Bonus Box Tops to. 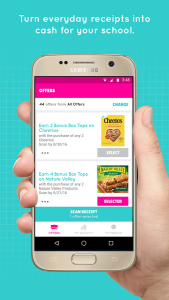 Simply register in the Box Tops Bonus App or visit www.boxtops4 education.com to become a member. New to the Box Tops for Education Program? Learn all about it at www.BTFE.com. Each receipt can only be used once. However, multiple, different offers can be redeemed on the same receipt. Each offer can only be redeemed once per receipt. However, most offers can be redeemed multiple times if submitted via multiple receipts. 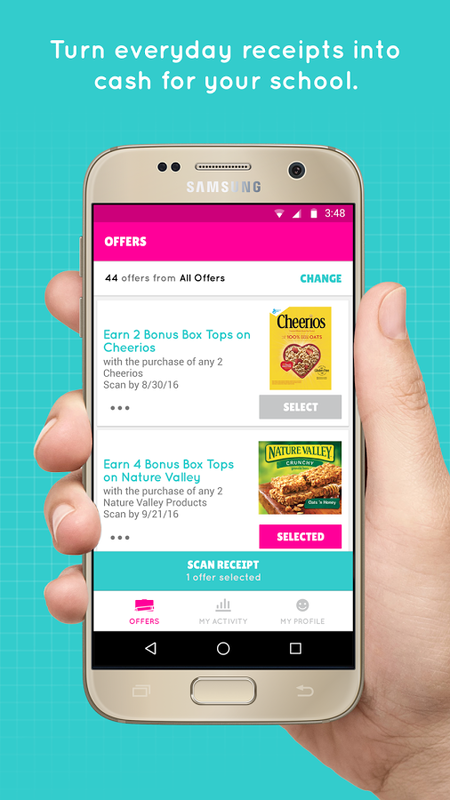 You can earn Bonus Box Tops in the Box Tops Bonus App in combination with the on-pack Box Tops clips and any other coupon, discount, store program or promotion unless otherwise stated. Tap into the offer to see any conditions. You can only earn Box Tops for the exact product(s) listed so please read carefully. Products must be purchased in the United States or at overseas Military Bases. We have Box Top Class Winners for the Month of October! Way to go KES!